By Luis Bueno – RIVERSIDE, CA (Apr 3, 2019) US Soccer Players - The 2019 Concacaf Champions League is entering its home stretch. As usual, Liga MX clubs dominate the landscape. MLS has not been completely shut out of the festivities, though. Sporting KC still has a pulse, the last team standing from the MLS contingent that could've taken three out of the four semifinal spots. Of those MLS teams, Sporting KC wasn't the best chance on paper. They're not Toronto last season, but they are the team that knocked out Toluca in the round of 16. Trying to outdo Toronto's 2018 Champions League campaign means making the final. This is certainly possible given how Sporting is playing this season. Sporting KC’s challenge is monumental. In front of the club is a semifinal matchup with Liga MX powerhouse Monterrey, the league’s second-highest scoring club and third in the table in this current league campaign. If ever there was an MLS club that could get it done, Sporting KC is it. With each passing tournament, MLS club’s urgency to win the championship becomes greater. This year’s though may carry with it some added weight. FIFA changed the Club World Cup. Instead of an annual December tournament in 2019 and 2020 it's now every four years starting in the summer of 2021. All of a sudden, the Concacaf Champions League doesn't have the same point. It's no longer the gateway to the Club World Cup. Considering how poorly Liga MX clubs do at world level, that might not be much of a difference. Still, it changes the scope of the Concacaf Champions League, a competition with no risk of being mistaken for Europe's version. That makes an MLS win now an open question. What does it mean for the Club World Cup? Until Concacaf makes an announcement, we simply don't know. So here we have Sporting KC, trying to avoid the same old Concacaf story. That means stopping two Liga MX clubs. Should they get past Monterrey, it's another attempt for MLS vs Liga MX in a final. Three times an MLS team advanced. Twice, that team was representing Canada. Real Salt Lake in 2011 is the first and only time a US team played for the Champions League title. In the last five editions, only three MLS teams even reached the semifinals, Toronto FC and New York Red Bulls a year ago and FC Dallas in 2017. MLS has been its usual hapless self against Liga MX teams this season. Four MLS teams reached the quarterfinals and the only one who advanced was the one who did not have to face a Mexican team. Houston crashed out against Tigres UANL, the Red Bulls were no match for Santos Laguna, and Atlanta United put up little resistance against Monterrey. Sporting KC made the semifinals after beating Panamanian outfit Independiente. 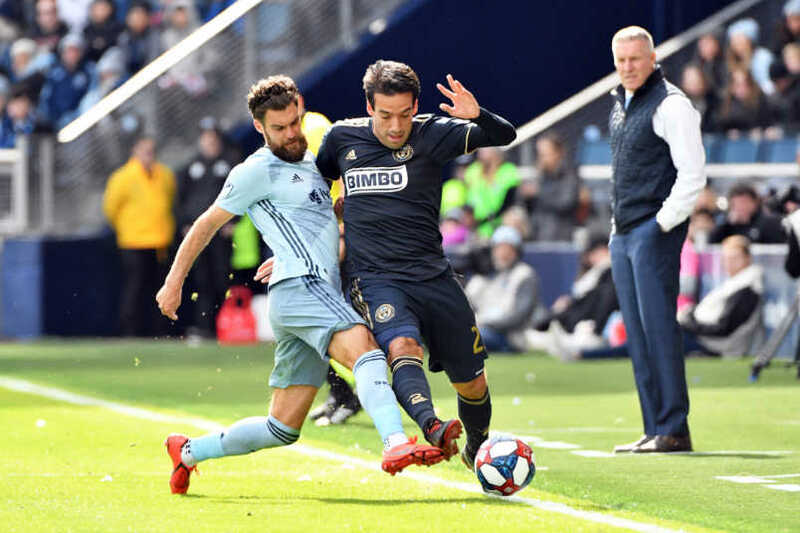 That series was no easy task for Sporting KC, who fell 2-1 in the first leg before scoring three times in the final 15 minutes of the second leg to advance to the semifinal round. This is uncharted waters for the club. In its history, Sporting KC does have one Champions Cup semifinal appearance. That came back in 2000 when the tournament played out over a couple of weeks in Southern California. Under the current knockout-round format, Sporting KC has had some history. The last time the club reached this phase was 2013 when Sporting KC lost 5-2 to Cruz Azul. That year, the club had played three league games before being bounced from the tournament and held an unremarkable 1-1-1 record in league play at the time. That team did not have time to warm up and compete like this year’s team has and that team went on to win MLS Cup 2013. This year’s team has the same feel about it. Sporting KC is a legitimate MLS Cup contender. The club holds a 2-1-1 record and is coming off a 7-1 demolition of Montreal Impact in league play. Kristian Nemeth (four goals) and Johnny Russell (three) tie for second and third in the league in goals respectively through one month of action. Sporting KC boasts a +7 goal differential, a figure surpassed by just two teams in the league. Sporting KC also has some recent success against a Liga MX club. Sporting KC drew Toluca in the Round of 16. They made quick work of los Diablos Rojos, beating them 3-0 at home before taking a 2-0 result at Estadio Nemesio Diez. Toluca is having a poor league campaign but for an MLS team to take a 2-0 win from Mexico in a decisive match was historic. It was just the fifth time an MLS team has won a competitive Champions League game in Mexico, but the first time an MLS team won the decisive second-leg to advance to the following round. The semifinal series sets up well for the MLS side. The first-leg is on Thursday in Monterrey but the decisive second-leg is set for Children’s Mercy Park on April 11. Sporting KC has won both of its home games by 3-0 scores in this tournament. Sporting KC is blazing a trail through the Champions League. However, there is one small caveat to a potential triumph in the final. MLS is still years behind Liga MX. It may not be decades behind as it once was. The gap has closed, but it still exists. MLS can draw better players now. Carlos Vela, for instance, is as good as any player in Liga MX. There are many others across MLS teams that have increased the league’s strength within the last decade. An MLS victory in Champions League will certainly be signs of progress on that front. It will be another signal that the gap is shortening. The gap will remain regardless of what happens in this season's Champions League. That's the challenge for MLS. In the end, though, that debate just makes for greater drama when teams from either league face off against one another in meaningful competitions.